Hi again everyone! It’s Lisa from Life on Merlin, back again bringing you an instant home décor summer bunting printable. Hang this happy summer banner in your home to welcome the new season! I can’t believe that half the year is already over and today is the first day of summer! So to mark this joyous occasion, I thought I would create a festive bunting to add some summer to your home. If you have been over to my blog or know anything about me, you know I love printables. 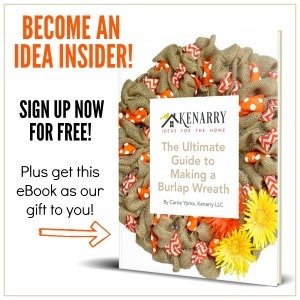 I think it is the easiest way to add great home décor for seasons, holidays, and inspiration. Now, confession time…I don’t usually decorate a lot for “summer”. Many times, I go straight from Easter to the 4th of July. This year, I thought it would be nice to slow it down a bit and recognize (even honor!) the first day of summer! This summer banner is super cute and really easy to put together, but you may want to make yourself a drink in this easy seasonal DIY tumbler to sip on while you’re working on the banner. 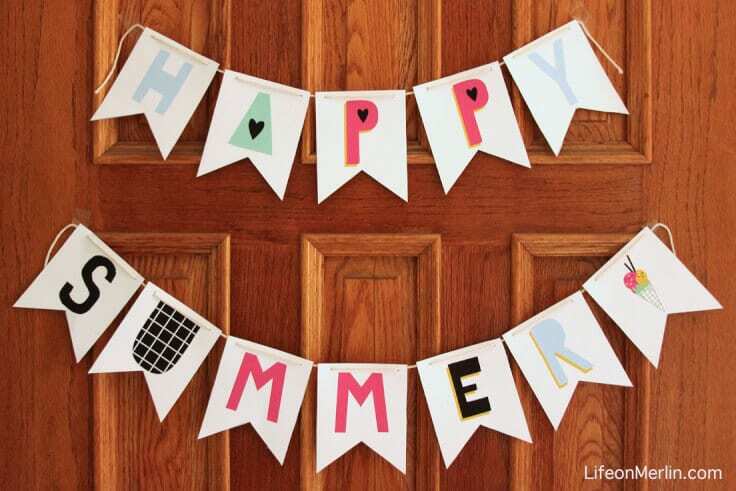 Get the free printable Happy Summer Banner. 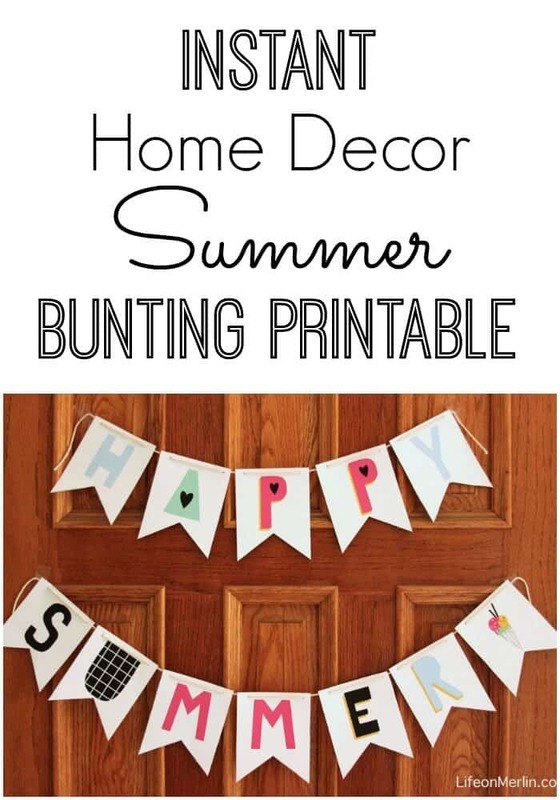 The printable Happy Summer Banner is available as a FREE gift when you sign up below! Then you just need to download the PDF file and save it to your computer. The Happy Summer banner and all other free printables from Ideas for the Home by Kenarry™ are for your own PERSONAL USE ONLY. Print out the Summer Banner on white cardstock. You can use paper if that’s all you have but I recommend cardstock because it’s more sturdy and the bunting will last longer. 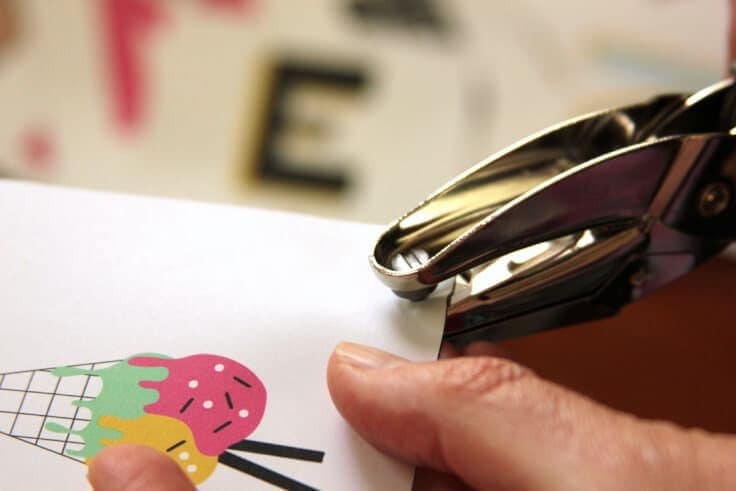 Make sure the cardstock isn’t so thick that it won’t fit into your printer! 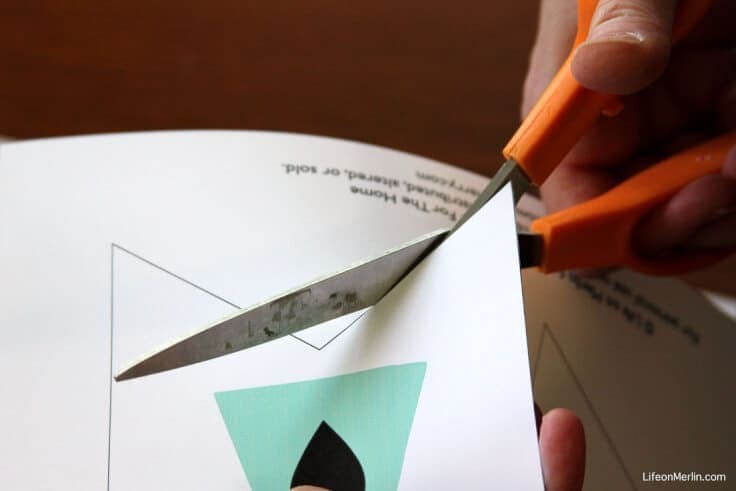 Using the hole punch, punch out the holes at the top of the bunting. Thread the string, yarn, or twine through the holes. Now you have a beautiful summer decoration to brighten up your home! 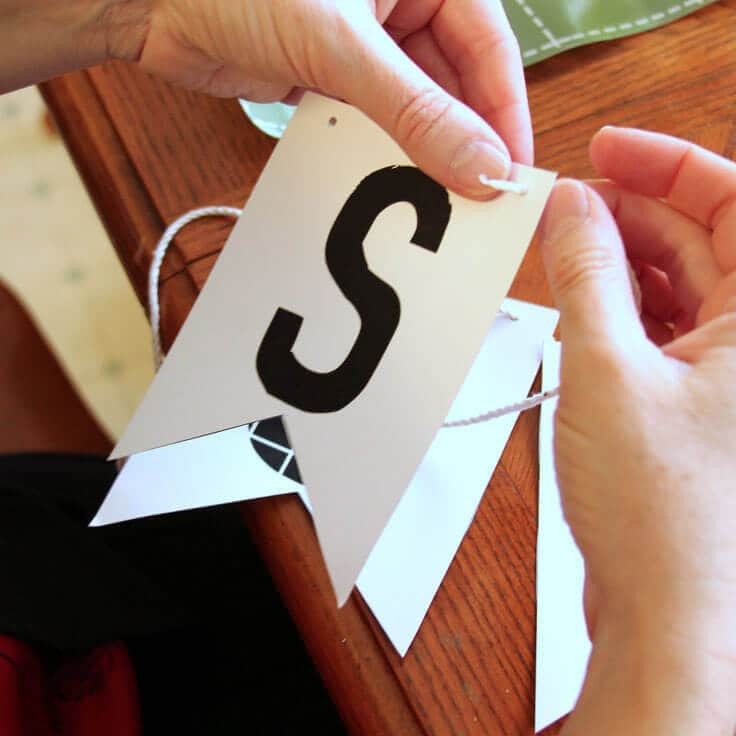 If you’re looking for something to carry you through the seasons, check out this easy tutorial for a fabric bunting that could be customized for any holiday or special occasion. 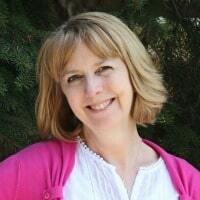 Lisa is a busy wife, mother and church pianist. Her blog, Life on Merlin, is a lifestyle blog that focuses on easy DIY projects and simple recipes. She loves quotes, printables, and seasonal decor. Her goal is to simplify life and help others add some peace to everyday living.